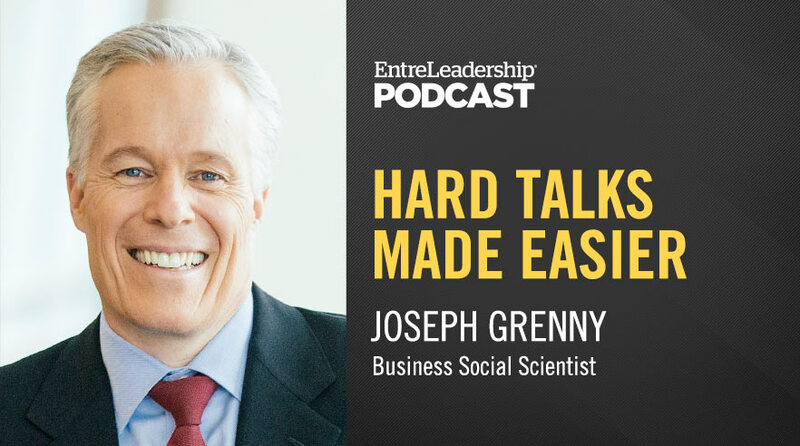 While the thought of having difficult conversations may fill most of us with dread, business social scientist Joseph Grenny says avoiding conflict is a big mistake. In fact, he says such conversations are absolutely crucial to an organization’s health and overall success. Sure, the stakes are high—and the tension may feel even higher—but ignoring incompetence or bad behavior only creates alienation and a culture of mistrust. Luckily, Joseph shares practical ways to defuse the situation and achieve a successful resolution. This podcast has been so incredibly helpful. I have listened to it twice today as I prepare for a difficult conversation tomorrow with a member of my team. The advice and recommendations are so practical and possible. While I am still nervous as to how the conversation will go, I am certainly going into the conversation feeling fully prepared and with a plan. Thanks so much.